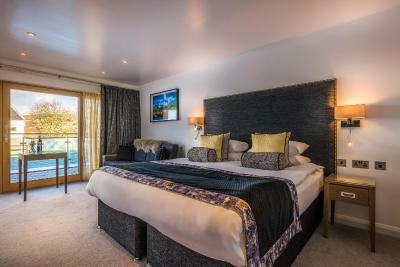 Lock in a great price for Skeabost House Hotel – rated 8.9 by recent guests! The location is beautiful. Scenic views, friendly staff. The room was comfortable and breakfast was delicious. 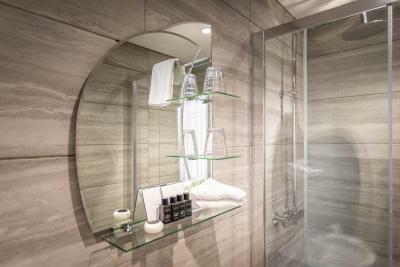 Absolutely phenomenal setting with wonderful comforts inside, especially on a rainy day. Many thanks to an attentive staff who made a point to learn our preferences and needs (we were traveling with a baby), they went above and beyond to ensure our comfort. Fantastic hotel! Great hospitality and very welcoming staff. The rooms are beautiful and the big fireplaces in the common areas are lovely. The breakfast is really good too. Location and food both excellent. Room very clean! Staff was very nice. Service was very good. The restaurant was in a beautiful glass conservatory and the outlook was so pretty. This hotel was magical! The views, the food, the area, staff, I even bought a fantastic book from Gil at the tiny bookstore next to the hotel! We WILL BE BACK FOR A LONGER STAY!!! The staff were very friendly and helpful. The breakfast was fabulous! Very nice property, good sized rooms in main hotel. Garden rooms are a little tighter. Food is wonderful. The staff was amazing, dining was awesome and the ambiance perfect. Quiet setting in a beautiful area. BIG disappointment!!! This is the only negative hotel in all of our encounters in Scotland. The problem is the price. It is so very overpriced for what you get. Our room was nothing special at all. It was small and hot. The hotel is not close to the heart of Portree so it extended our drive which was already quite long. The dinner was pricey and so-so. I definitely would NOT recommend this hotel. The only positive was the staff, which we have found to be so kind and genuinely friendly all over Scotland. 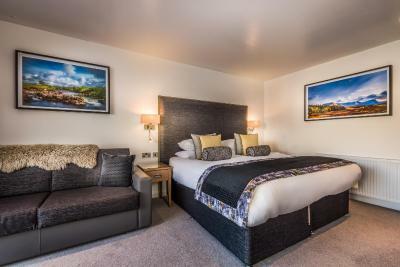 Skeabost House Hotel This rating is a reflection of how the property compares to the industry standard when it comes to price, facilities and services available. It's based on a self-evaluation by the property. Use this rating to help choose your stay! 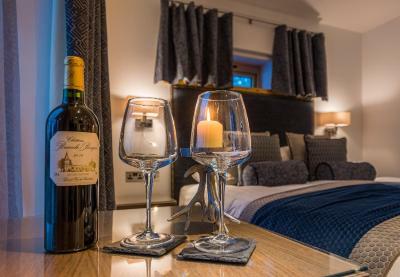 One of our top picks in Portree.Skeabost Hotel stands within large private grounds at the edge of Loch Snizort. 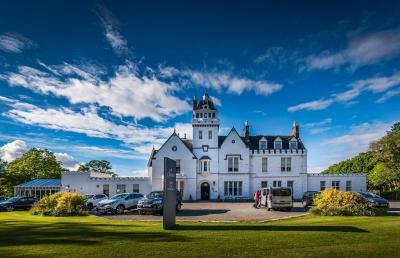 The hotel is an ideal base for exploring the surrounding Scottish highlands and visiting the many local attractions. 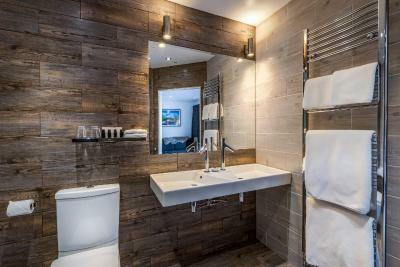 Each of the Hotel's bedrooms has a private private bathroom, a TV, and tea and coffee-making facilities. 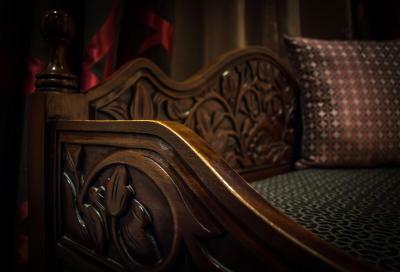 Some rooms boast four-poster beds and DVD players. 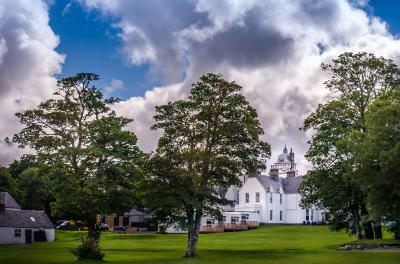 Many of the rooms also offer views over the landscaped grounds, or towards Loch Snizort and its salmon river, on which the hotel has seasonal fishing rights. Dining is available in the a la carte restaurant located in hotel's conservatory, with a varied menu that features freshly prepared local ingredients wherever possible. Lunches are also available in the hotel's public areas.The lounge bar offers a large selection of wines and a selection of fine malt whiskeys. Guests can also enjoy a varied range of cocktails. The Billiard Room, formerly the chapel of the original country house, is another place to unwind with a drink. The Hotel has its very own 9-hole, 18-tee golf course which provides the perfect challenge for any level of golfer. Skeabost Hotel is a Licensed Wedding Venue, with additional capacity for a range of private business functions and Corporate events. 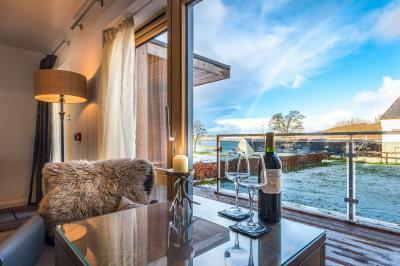 When would you like to stay at Skeabost House Hotel? 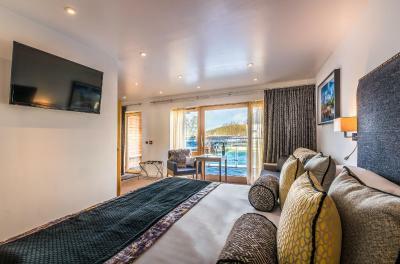 This room includes a double bed, free Wi-Fi, a flat-screen TV, and a complimentary hospitality tray. The room has a private bathroom. The size and view from the rooms varies. This room cannot accommodate extra beds or cribs. This spacious room features a four-poster king bed with luxurious fabrics. 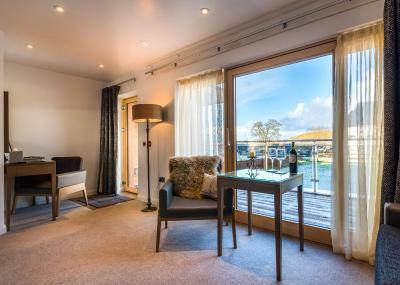 It also has free Wi-Fi, a flat screen TV, and complimentary hot drink facilities. 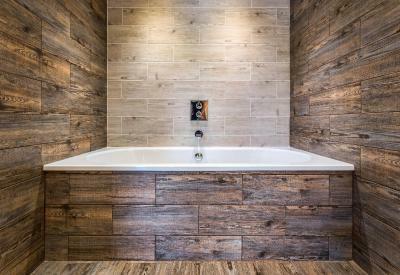 The room has a private bathroom and bathrobes. The views can vary. 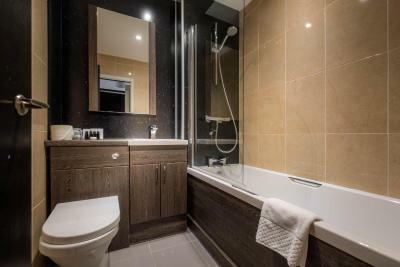 This twin/double room has a electric kettle, bathrobe and seating area. 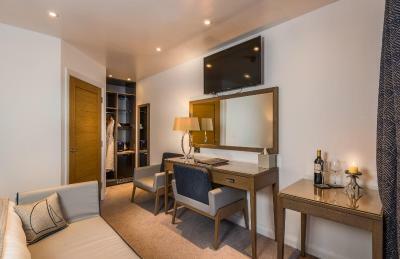 This room includes a double bed, free WiFi, a flat-screen TV, and a complimentary hospitality tray. 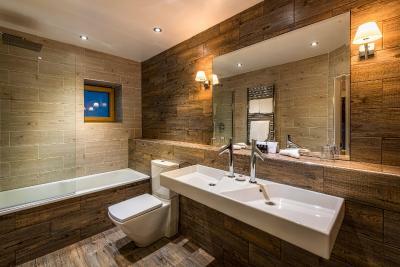 The room benefits from an private bathroom and views over Loch Snizort. 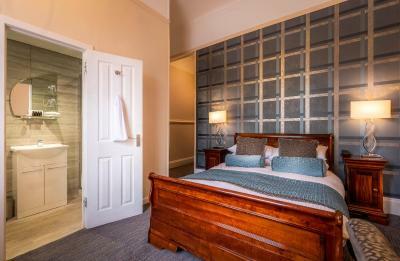 This room includes a double bed, free WiFi, a flat-screen TV, and a complimentary hospitality tray. 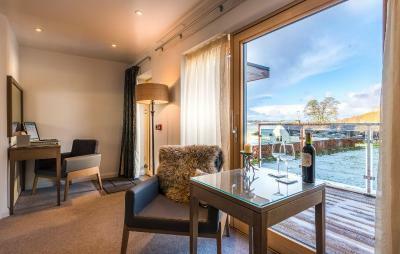 The room benefits from an private bathroom and views of the hotel gardens and Loch Snizort. Lovingly restored and stunningly refurbished, this iconic hotel is an idyllic retreat in a jaw-dropping location on one of the world’s favourite islands. Steeped in history, Skeabost is the third and latest in the small group of boutique hotels owned and run by Anne Gracie and Ken Gunn whose accolades include Scottish Hoteliers of the Year and a Gold Laurel as two of Scotland’s ‘most visionary entrepreneurs.’ It is the only hotel on Skye with its own golf course - a nine hole, 18 tee shoreline challenge. The fast flowing River Snizort which runs through the grounds provides excellent salmon and trout fishing. The 18 bedroom Skeabost, acquired by Anne and Ken in 2015, is situated in 23 acres of woodland on the edge of a loch, with views out to sea and crofting hamlets. The current building began life as a hunting lodge in 1871 but there has been a home of some sort at Skeabost since Viking times when the name meant The Sheltered House. On an island in the river are the ruins of two small chapels associated with St Columba, the first Christian missionary to Scotland. Skeabost has its own chapel, now a stunning private dining room. 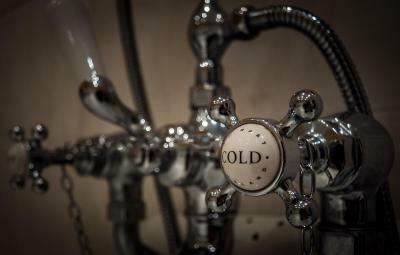 House Rules Skeabost House Hotel takes special requests – add in the next step! Skeabost House Hotel accepts these cards and reserves the right to temporarily hold an amount prior to arrival. The hotel is always a great place to stay. The staff absolutely make this hotel what it is. They are great and no request is too much. We love staying here. The food at breakfast and dinner is always varied and there is something for everyone. Delightful, atmospheric hotel with [easant staff. There is a charming 9 hole golf course which is sadly lacking attention and needs some TLC. It was fun to play and could be a good asset to the hotel and the community. shame it is not given the attention and care that it deserves. That should be made clear on the website. There was no charge to play though. Really good food and service, breakfast was very good. Lovely atmosphere - very relaxing. Room had a lovely view and was very quiet - good stay. More hooks for damp towels and dressing gowns. An iron. The access road differently needs repair or upgrading to avoid damage to guests cars. Roof repair work going on out side room window after 5.00 pm not ideal. Good location central easy access to the rest of the island. Breakfasts were perfectly cooked and beautifully presented. Staff were lovely Loved sitting by the log fire with a drink. Nothing was on my dislike list at all.